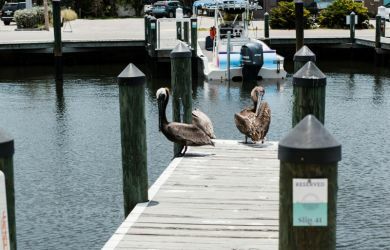 If you own (or rent) a boat in the Tampa-St. Petersburg area, you’re always on the lookout for a new spot that offers dock space and the option to enjoy a meal, cool beverage or even deluxe overnight accommodations. 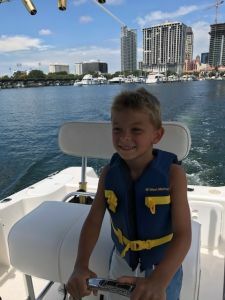 We sat down with Mark Mathiason, a resident of South Tampa, to learn about his first boat trip to Waterline Marina Resort & Beach Club. 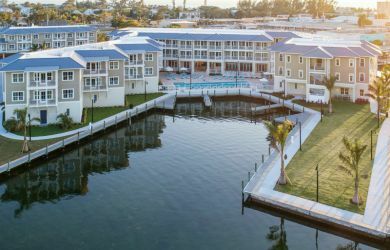 Get the scoop on navigating your way through the bay to our marina-based resort on Anna Maria Island. What kind of boat do you own and what trips have you taken it on? 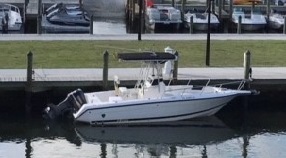 We have a 26’ Center Console. 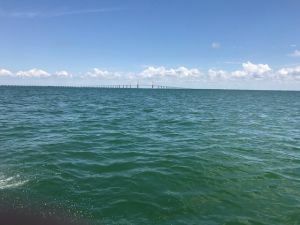 We’ve taken it as far as Boca Grande, but we normally boat locally around Tampa Bay, and especially Anna Maria Island. 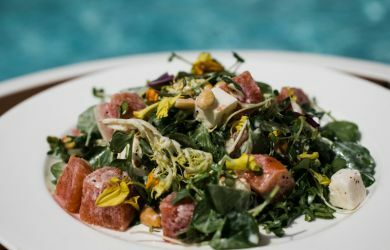 What intrigued you about visiting Waterline Marina Resort & Beach Club? Can you tell us a little bit about navigating your trip to the resort? We left from downtown St. Petersburg. The seas were flat, so it only took us 20-25 minutes to get there. It’s pretty easy getting to Waterline. The only advice that I would offer other boaters would be to pay attention to the channel markers on the approach to the marina, especially during low tides. After arriving to Waterline, were you impressed with the accommodations? The suites are incredibly well-appointed and super spacious. The two bedroom suites are so comfortable and allow a family to spread out and enjoy one another’s company. Did you find the resort amenities worked well for your entourage? 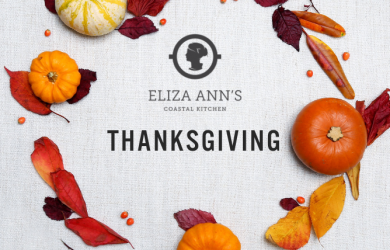 My family loved the food at Eliza Ann’s Coastal Kitchen. Logan behind the bar is a great mixologist and host. Brunch was amazing. When it comes to the marina, Patty really assumes the role of dock master perfectly, and she’s so hospitable and helpful. Having access to bicycles on AMI is a treat, as well as transportation to the beach club. We loved hanging out at the pool, and it’s nice that there are games in the shade for the kids. Were you able to explore Anna Maria Island? There’s no better way to do it than by bike, and the resort has a great collection of beach cruisers on property! We explored Pine Avenue for shopping. Visiting the Rod n’ Reel Pier is a must! We also enjoyed cocktails at the Doctor’s Office and grabbing a cheeseburger at Duffy’s Tavern has become our family tradition. If you did it over again, what would you do differently? We already have! We liked our visit to Waterline so much that we’ve already returned with our kids and their grandmother. We had a rainy day, and the resort staff was amazing. They planned all sorts of activities in the ballroom from movies with popcorn to arts and crafts. Our family went bonkers over the s’mores at Eliza Ann’s Coastal Kitchen. We’re now coordinating a flotilla with our friends, and I think we’ll have half a dozen boats join us on our next trip!